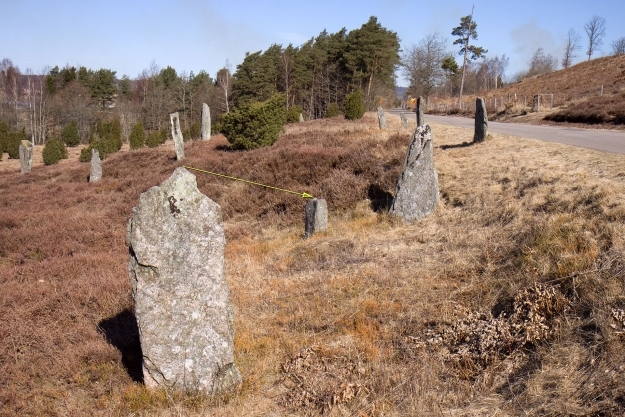 On the winter solstice the shadow cast by the higher stone moves across the lower stone, which stands 14m away. The lower stone has two peaks, both of which just touches the sun’s path at the winter solstice. The sun line is completely unimpeded by shading trees and can therefore be seen in the present day. The next opportunity is on December 21st 2015, between 11:30 and 11:45.